This post by Joel Makower looks into a recent survey by TerraChoice Environmental Marketing. They sent out teams to investigate any products making green claims. After initially identifying 1,081 products making 1,753 separate claims they found "all but one made claims that are either demonstrably false or that risk misleading intended audiences." 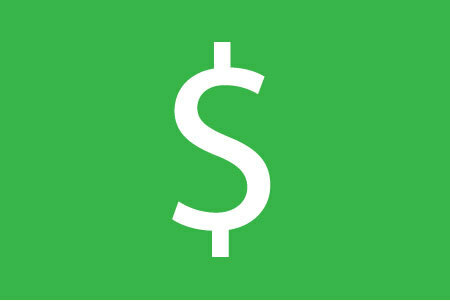 Sin of the Hidden Trade-Off — claims that suggest a product is "green" based on a single environmental attribute (the recycled content of paper, for example) or an unreasonably narrow set of attributes without attention to other important, or perhaps more important, environmental issues (such as the energy, climate, water, or forestry impacts of paper). Such claims aren't usually false, but paint a misleading picture of the product than a more complete environmental analysis would support. This was the most frequently committed "sin," made by 57% of all environmental claims examined. Sin of No Proof (26% of all claims examined) — any claim that couldn't be substantiated by easily accessible supporting information, or by a reliable third-party certification. TerraChoice determined there to be "no proof" if supporting evidence was not accessible at either the point of purchase or at the product website. Sin of Vagueness (11% of all claims examined) — any claim that is so poorly defined or broad that its real meaning is likely to be misunderstood by the intended consumer, such as "chemical free" or "all natural." Sin of Irrelevance (4% of all claims examined) — claims that may be truthful but are unimportant and unhelpful for consumers, such as CFC-free products, since ozone-depleting chlorofluorocarbons have been outlawed since the late 1980s. Sin of Lesser of Two Evils (1% of all claims examined) — environmental claims that may be true, but that risk distracting the consumer from the greater environmental impacts of the category as a whole, such as organic tobacco or green insecticides. Sin of Fibbing (less than 1% of all claims examined) — claims that are simply false, typically by misusing or misrepresenting certification by an independent authority, when no such certification had been made. 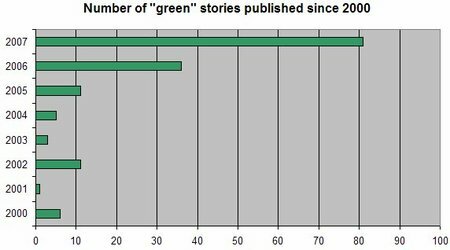 I agree with Joel Makower's point that not all of these are necessarily greenwashing and that some of the cases are probably down to sloppiness. "marketers' efforts to place a green sheen on a product, perhaps rightfully so, but without offering some basic proof points." But what does this all mean or green marketing and for those brands that really do help us minimise our impact on the planet. Well, it's basically bad news isn't it? Any genuine effort to offer a greener product or service could be met with scepticism. The last wave of green marketing we saw during the nineties eventually died a death because it too was based on a lot of marketing hot air and people saw through it. 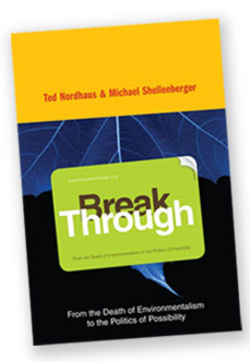 I think the real danger is if people are successful with their greenwashing efforts, then the truly green, the truly innovative companies — the ones that have really figured out how to reduce their carbon footprint, how to produce a nontoxic product, how to make products out of renewable materials that can be reused — the truly innovative products are going to lose out. An interesting article from The Guardian which takes a hard line against the greenwashing of brands; a debate which I find fascinating. Brands should think very carefully about marketing their green credentials. "You can't put a lettuce in the window of a butcher's shop and declare that you are now 'turning vegetarian'." 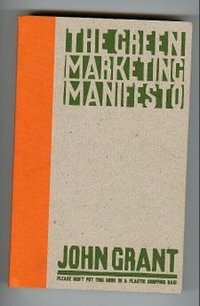 explains John Grant, author of The Green Marketing Manifesto. Of course, it is totally counter-productive to claim to be something you're not, when everyone has the ability to see through it. This kind of tokenism will be seen for what it is very quickly. It seems there are many examples of bad practice in this area but also an encouraging amount of truly brilliant examples of companies who've grabbed this Corporate Social Opportunity and done something fantastic and innovative with it. "Popular, well-trusted brands have the potential to build on the relationship that they have with consumers, encouraging them to make adjustments towards a more sustainable lifestyle. Kia Motors, for instance, has been backing a walk to school initiative for the last three years. The car firm estimates that 20% of the traffic on the roads at 9am is connected to the school run and wanted to launch a project that helped tackle that congestion. To date, 250 "walking buses" have been set up involving 53 local authorities and 8,000 children. In 2006, Kia estimated that the initiative saved 100,000 commuter miles every week." Such an initiative can only be seen as positive, surely? Even if it was initiated by a car manufacturer. Thanks to Russell Davies for this one. I'm not a big fan of corporate tag-lines. They tend to be self-important at best and in this case almost indecipherable. Another one I remember hating throughout my years at art college was the equally preposterous 'Newcastle College. More that just a college'. 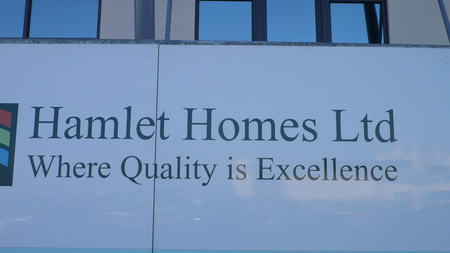 In all my years there, I never managed to work out what exactly they meant by this. Anyone else spotted any nonsense pay-offs recently? There must be some good Scandinavian examples. Cycling through Copenhagen yesterday morning on my way to a client meeting I came across this creative use of scaffolding. 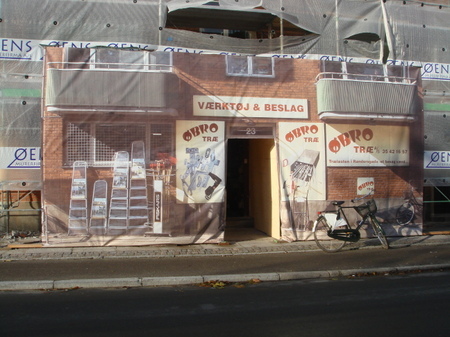 The hardware store which is behind this temporary facade is identical to the life-size poster they've hung outside. Cool eh?